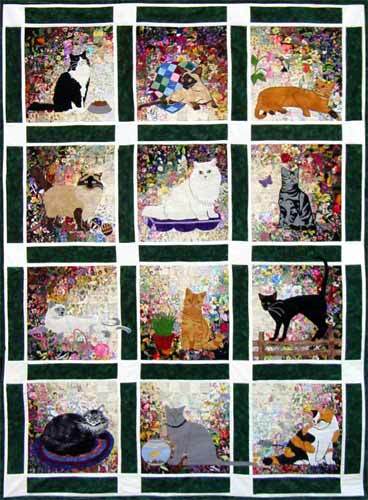 A cat lover's delight that is a year round treasure for your home! 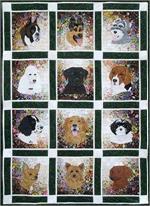 Piece the 12 blocks together or separate to create a stunning masterpiece. 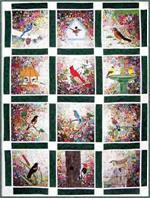 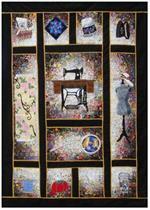 Kits include pre-cut watercolor fabric squares that may be hand or machine sewn with hand or machine applique. 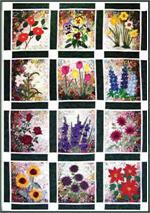 Our complete kits include set of detailed instructions, applique fabrics and pre-cut 2 inch fabric squares as well the finishing kit to complete your quilt top and pre-made bias binding. 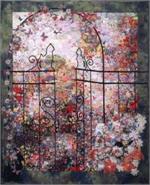 Size: 54" x 77"